Home » How to convert Flip Ultra HD MP4 to 720p AVI video? 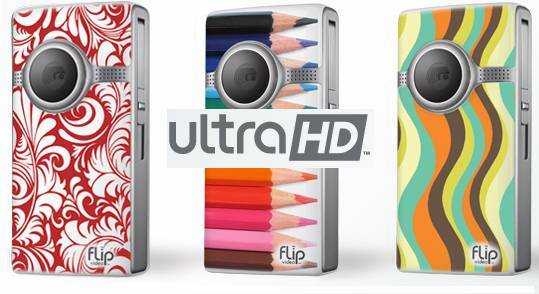 Why are there so many people like Flip Ultra HD camera? Not only because it is handy, but also the Flip Ultra HD shoots smooth, crystal-clear HD video that looks incredible in easiest way. The mini cam creates 720p HD MP4 video and even featured with simple editing facilities itself. The HD mp4 video plays fine on PC, but is not so acceptable for Windows Movie Maker or Adobe Premiere when you wanna do some further editing. In order to save storage, the Flip uses H.264 codec, which is highly-compressed and good for video streaming but not optimal for video editing software and some media players. Experienced short film makers would convert the Flip Ultra HD MP4 to AVI video first, as AVI is a most common format for video editing. The following guide introduces a way converting Flip Ultra HD MP4 to 720p AVI without quality loss. Hope this helps you enjoy more out of your Flip Ultra HD shootings. How do I convert Flip Ultra HD MP4 to AVI for editing and playing? In order to convert Flip Ultra HD MP4 video to AVI, you need an HD Video Converter that is able to en-decode H.264. The Pavtube HD Converter is recommended to help you convert Flip Ultra HD MP4 video to AVI in sync. The software convert Flip Ultra HD 720p MP4 video and export to AVI, MOV, MPG, VOB, TS, MKV, M4V as well as audio MP3. Step 1. Load source 720p MP4 video to Flip Ultra HD Converter. Free download Flip Ultra HD Video Converter, install and launch the program. Once you run it, click “Add” to load the source Flip Ultra HD MP4 MTS files. Step 2. Set 720p AVI as output format for playing and editing. Click on “Format”, and select output format from the drop-down list. As we’re converting Flip Ultra HD MP4 footage to AVI for editing, you may follow “Common Video”>> “AVI MSMPEG4-V3 (*.avi)” or “DivX AVI (*.avi)”. 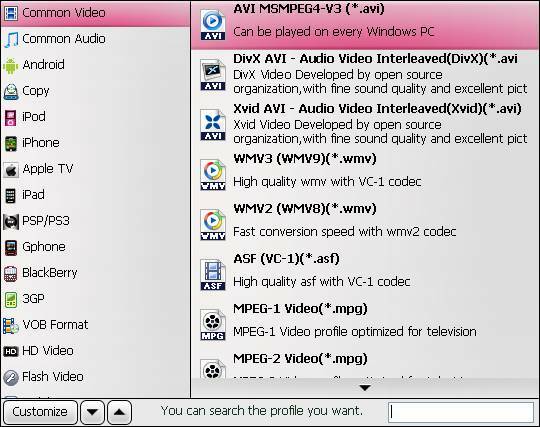 To maintain 1080p HD video quality for playback, you can select “HD Video”>> “AVI HD (*.avi)”. Step 3. Adjust A/V parameters to get lossless AVI video. Click “Settings” if to customize advanced audio and video parameters. To avoid quality loss, just set the video and audio parameters as original HD MP4 video, which are indicated in the preview window. When previewing video, you can select an item and click the “<” sign to check the media information. Step 4: Start converting Flip Ultra HD MP4 to 720p AVI format. After the above steps are done, you can click “Convert” button to start conversion. And you can click “Open” button to get the generated AVI files for play back or edit. Tip 1: You may trim the video to desired length in Editor interface, just select the video you’d like to trim and click “Edit” menu. Tip 2: There is a snapshoot button below the preview window for you to capture still image (thumbnail) from Flip Ultra HD video footage. How to Convert MP4 to 3GPP Video? Sony CX360V AVCHD to Dune HD Player Converter-How to Play AVCHD Video on Dune HD Player?